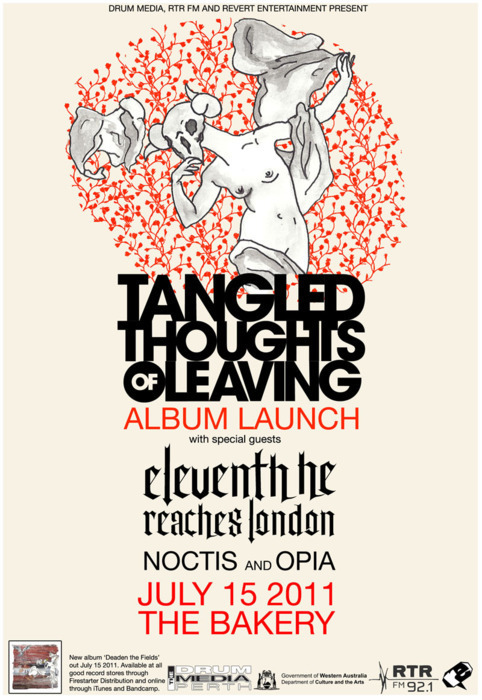 After a six year build up of over 100 shows and 3 EPs, Perth progressive rock quartet Tangled Thoughts of Leaving launch their debut album at the Bakery on Friday July 15 2011. 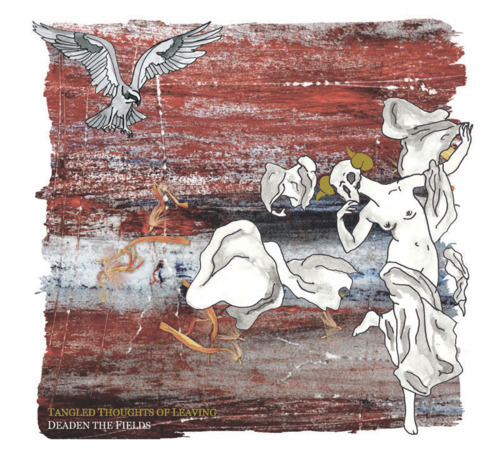 With 62 minutes of sound spread over 6 tracks, Deaden the Fields is epic, intense, technical and emotive - perfectly capturing the live show that Tangled Thoughts of Leaving have honed since their inception in 2004. The album was recorded over a three month period in early 2011, in TToL?s own self-built studio an hour south-east of Perth. A studio of their own gave the band a chance to give every second of the release the treatment it deserved, and that attention to detail is evident in the final recordings. The album launch promises to be a feast for both the ears and eyes, with an intense lighting and visual display set to accompany the unveiling of TToL?s new opus. Rounding out a huge lineup of Perth heavy music are Eleventh He Reaches London (their first show in 6 months! ), Noctis and Opia. The album is now being released in stores and online July 8. The launch is still July 15. Only a couple of days left. Word around is that this will be the LAST NOCTIS SHOW EVER. Sad news, but you must come down early and help see them off. Unfortunately, they are calling it a day. Light show at the ready and epic set prepared. Finally get to see Noctis (last friday) and discover how awesome they are, and then they go and quit on me! 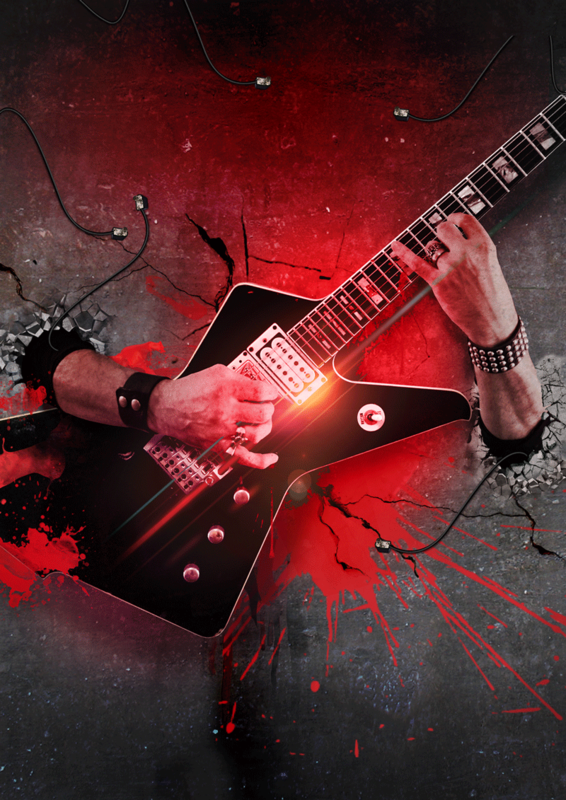 Cant make it tonight either as I have prior arrangements at the Civic thrash gig, so best of luck to all bands. Have a blast! Bakery is a weird, yet strangely very cool place!